Easter Eggs Cellophane Roll 24 inches wide x 50 ft long. 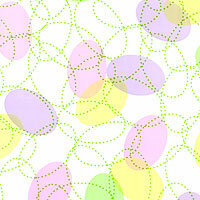 Light colors of eggs in yellow, pink, lavender and green with dotted green lines all over, that will remind you of easter grass among the eggs. Cello background is clear.